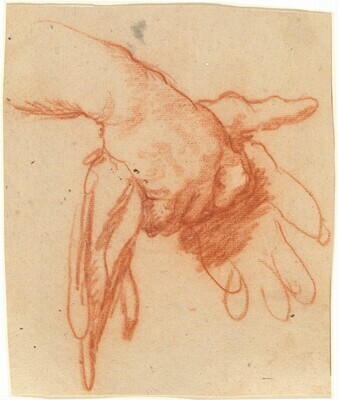 by later hand, center verso in brown ink: P(rete).G(enovese) no.8; seventeenth/eighteenth century pen and brown ink verso of mount "P.G. no. 8"
Zaccaria Sagredo [1653-1729], Venice; Maurice de Marignane, Paris; Hazlitt, Gooden & Fox, Ltd.; purchased 1992 by NGA. The Poetry of Light - La poesia della luce: Venetian Drawings from the National Gallery of Art, Museo Correr, Venice, Venice, 2014 - 2015, no. 42. Manzitti, Camillo. Bernardo Strozzi. Umberto Allemandi, Turin, 2013: 238, 261.